We cordially invite you to the 3rd Annual Commemoration of the Declaration of World Peace and the Peace Walk. HWPL initiated an International Law for Peace and Cessation of War as a solution to bring about peace to humanity and an instrument to dispose of all means that initiate war and armed conflicts. 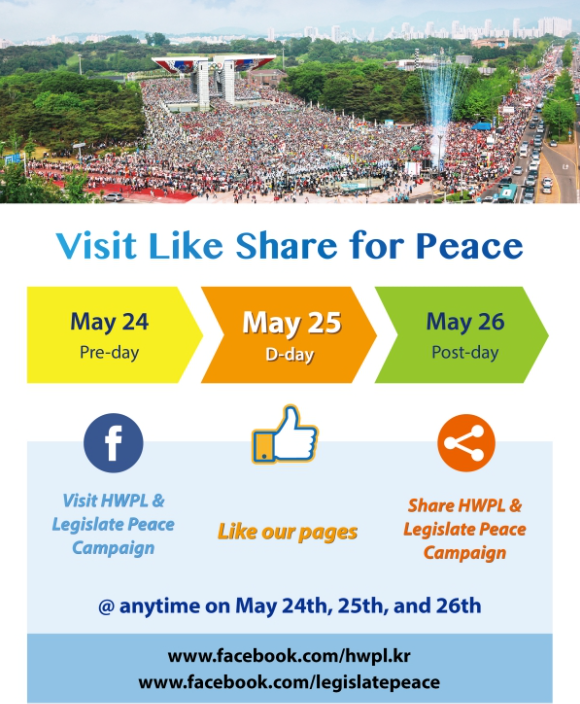 Representing the collective wish of people from all walks of life - HWPL’s initiative to international law for peace is a powerful and ground-breaking tool which will enable worldwide enjoyment of peace. 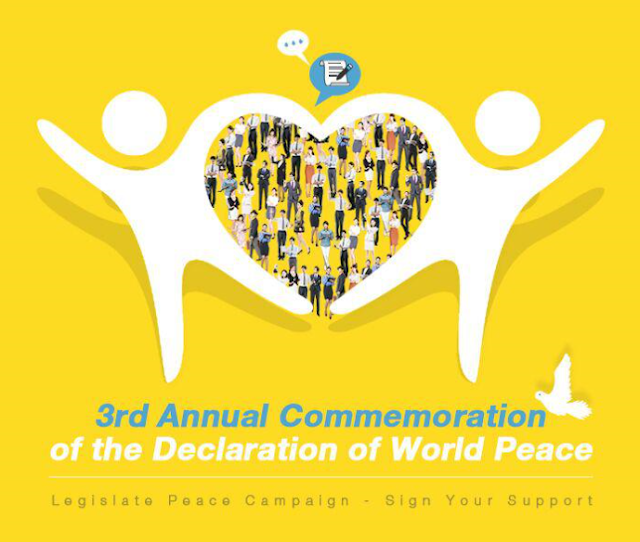 Gaining global support, united in one voice, women and youth are at the forefront of urging for the presentation and implementation of the Declaration of Peace and Cessation of War through the Advocacy Committee.